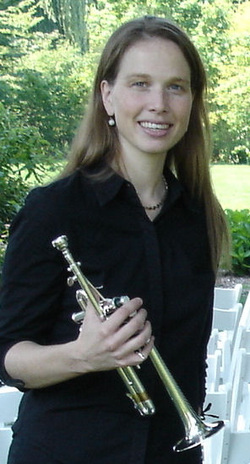 Angela Gosse is the trumpet soloist for weddings all over the New York area. She works closely with organists to ensure brilliant music for your entrance and exit and lovely pieces during the ceremony. Angela has played hundreds of weddings (Including Alec Baldwin's wedding!) and understands how to set the mood and time everything perfectly. You can hire Angela directly, or through your church music director or wedding planner. Listen to recordings of Angela performing some wedding favorites at the links below.